Potential impacts of climate change on heavy rainfall events and flooding in the Australian region are explored using the results of a general circulation model (GCM) run in an equilibrium enhanced greenhouse experiment. In the doubled CO2 simulation, the model simulates an increase in the frequency of high-rainfall events and a decrease in the frequency of low-rainfall events. This result applies over most of Australia, is statistically more significant than simulated changes in total rainfall, and is supported by theoretical considerations. We show that this result implies decreased return periods for heavy rainfall events. The further implication is that flooding could increase, although we discuss here the many difficulties associated with assessing in quantitative terms the significance of the modelling results for the real world. The second part of the paper assesses the implications of climate change for drought occurrence in Australia. This is undertaken using an off-line soil water balance model driven by observed time series of rainfall and potential evaporation to determine the sensitivity of the soil water regime to changes in rainfall and temperature, and hence potential evaporation. 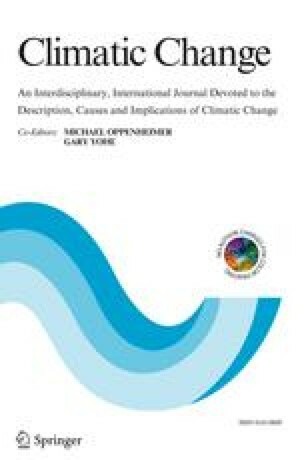 Potential impacts are assessed at nine sites, representing a range of climate regimes and possible climate futures, by linking this sensitivity analysis with scenarios of regional climate change, derived from analysis of enhanced greenhouse experiment results from five GCMs. Results indicate that significant drying may be limited to the south of Australia. However, because the direction of change in terms of the soil water regime is uncertain at all sites and for all seasons, there is no basis for statements about how drought potential may change.